The Cold War saw the world divided into two blocs, East and West, with the US and the Soviet Union competing for influence across global markets. In business education now, something similar—but far more productive—is afoot. While Russian b-schools have a long way to go to compete with the business school elite in the US, they are starting to expand internationally. And that, according to George Iliev, director of development markets at the Association of MBAs (AMBA), means a decisive move towards China and the East. Russian business schools are establishing partnerships with institutions around the world in their bid for global expansion. To do so, it makes sense to target countries with which Russia has language in common, or historic, cultural bonds. After all, of the thousands of international students that came to study economics and management Russia in 2015, 60% were from former Soviet countries in the Commonwealth of Independent States (CIS). 24% came from Asia, compared to 3% from Western Europe. The Graduate School of Economics and Management (GSEM) at Ural Federal University sits on the border of Asia and Europe. There, around 12% of the 4,000-plus students are international, with the biggest numbers coming from CIS countries and China. Part of the reason Russian business schools are looking eastward is pure logistics. “It’s much easier and cheaper to run a study trip for your class of 50 MBAs to take them to Beijing or Shanghai, compared with New York,” George explains. Russian business schools do have partnerships, and even deliver joint MBA programs, with schools in Western Europe, particularly in France and Germany, “but America is off limits,” says George. Russia’s Graduate School of Management at Saint Petersburg University boasts six international academic partners from China—including City University, CUHK, and HKUST from Hong Kong—alongside four from the US, and three from the UK. Lomonosov Moscow State University Business School’s partners include Peking University’s Guanghua School of Management as well as several schools in Japan and South Korea. Historic ties also bring new initiatives. In November 2017, Moscow School of Management Skolkovo announced it was partnering with HKUST Business School to launch a joint EMBA program, which will focus on business within the framework of China’s Belt & Road initiative—a massive infrastructure development project along the old Silk Road trade route. Skolkovo also has a blossoming partnership with China’s Shenzhen MSU-BIT University. Sergey Myasoedov, vice rector of Russia’s RANEPA university and dean of IBS-Moscow—home to 2,000 undergraduate and post-graduate business students—says the Chinese market cannot be ignored. Around 100 IBS-Moscow undergraduate students are currently studying on exchange programs at different universities in China. 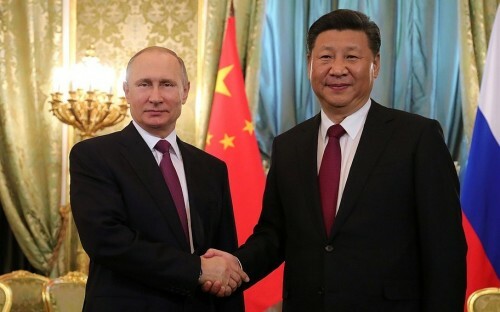 IBS-Moscow is currently in “intensive negotiations,” he says, with several business schools in China—including Shanghai Jiao Tong University’s Antai School of Economics and Management—to extend its roster of short, executive-level courses. “I hope that in the next few years we will have a joint-venture MBA program,” Sergey concludes. While you may be still sending your MBA application letters to the US and Western Europe this year, be wary of the business school empire in the East.